Alfa is racing against the clock to get a concept of its new coupe ready to display at the Geneva auto show next month. 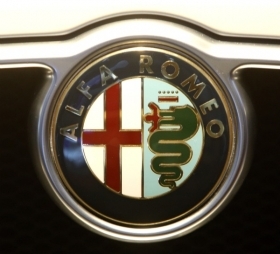 TURIN – Alfa Romeo plans to build a rear-engine, rear-wheel-drive coupe that would become the brand's halo car. Fiat's struggling sporty brand aims to complete a concept car for the innovative lightweight coupe for a planned Geneva auto show debut next month. The concept is set to be built as the 4C GTA and go on sale for 40,000 euros (about $55,000). Alfa enthusiasts have dreamed for almost two decades of the return of an affordable rear-drive model after the Duetto Spider was discontinued in 1994. Alfa's 8C Competizione, which was built from 2007-2008, was too expensive for most Alfa buyers. The spider version of the 8C cost up to 213,000 euros and the car's production run was limited to 1,000 units. Alfa is set to begin production of the 4C GTA by the end of 2012 in one of Fiat's factories in Italy. The automaker plans to build 20,000 to 25,000 units of the coupe over the following five years, two people familiar to the matter told Automotive News Europe. The Fiat sources said that the 4C GTA could be sold in the United States, but no decision has been made yet. The 4C GTA was designed by Alfa's styling center in Turin and is said to be a rakish, very compact and extremely low two-seat coupe. 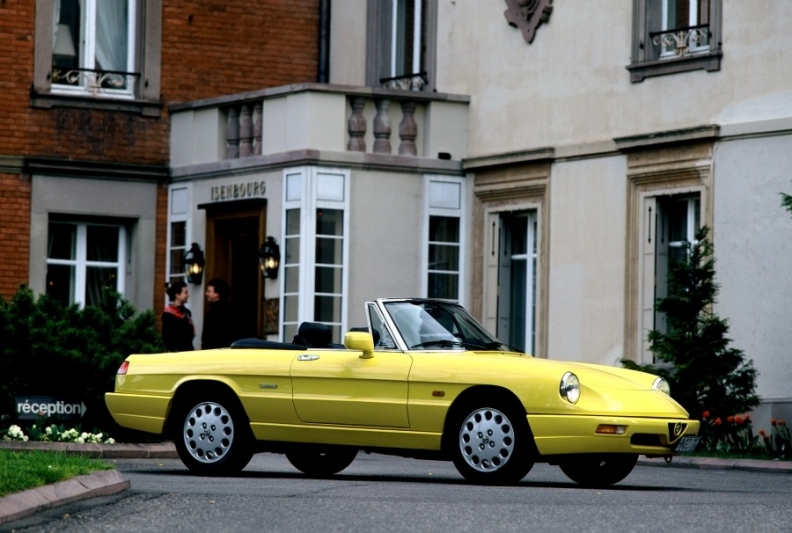 Reports on Alfa's enthusiast blogs wrongly say the model was designed by Pininfarina S.p.A.
Alfa's enthusiasts want an affordable rear-drive model like Duetto Spider (shown). The 4C GTA will go on sale at a crucial time for Alfa in the final quarter of 2012 when the company also plans to introduce the Giulia mid-sized sedan to replace the slow-selling 159 and the brand's first ever SUV, a sister model to the Jeep Compass/Patriot replacement. Thanks to an innovative construction method, which combines carbon fiber and aluminum, the 4C GTA will be very lightweight. Alfa is targeting an 850kg (1,784 lbs) curb weight for the car. The 4C GTA would have an impressive power-to-weight ratio below 3.5kg/hp despite being powered by the 1.8-liter, four-cylinder gasoline direct-injection engine offered in the Giulietta with the horsepower boosted to more than 250 hp from 235 hp. As a comparison, the rear-engine, rear-drive Porsche Cayman coupe offers a 3.98kg/hp weight-to-power ratio even for the S performance model, where 320 hp has to move 1,275kg. Alfa Romeo teamed up with Italy's Dallara Automobili, which is one of the world's largest producer of racecars to create the 4C GTA. The Alfa 4C GTA's structure is a development of the KTM X-Bow, engineered by Dallara Automobili. 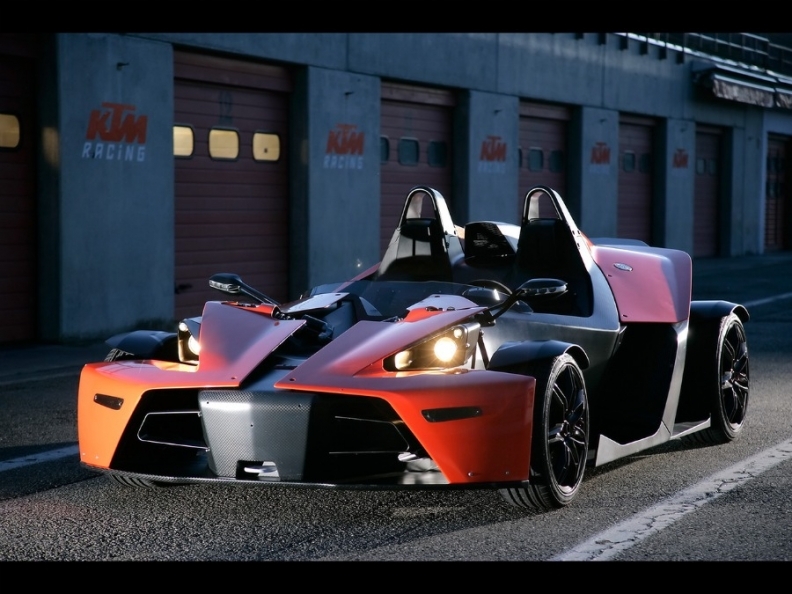 The car's structure is a development of the X-Bow, an extreme two-seat roadster launched in 2007 and engineered by Dallara for Austrian motorcycle maker KTM. Dallara developed a carbon fiber cockpit for the 4C GTA, which features front and rear aluminum sub-frames to house the engine, as well as carry the pushrod suspensions and to absorb deformation in crash tests. GTA is Alfa's acronym for Gran Turismo Alleggerita – Lightened Grand Touring in Italian – and was last used for the 147 GTA compact hatchback.